Ideas Are to be Explored, Not Ignored! Dr. Trimble’s numerous research interests include ‘the study and development of appropriate technology for national development in Africa and other underdeveloped regions’. John Trimble holds Masters degrees from Stanford University in computer science and from UC Berkeley in operations research as well as a PhD in systems engineering from Georgia Tech. He is currently an Associate professor in systems and computer science at Howard University. Dr. Trimble has organized workshops on the above stated topic at the international Africa – African-American Summit in Ghana, national workshops and symposium in Washington DC, and international conferences and local seminars in Namibia, Zimbabwe, Sudan and South Africa. John chaired the planning committee for international conferences on appropriate technology held in Bulawayo Zimbabwe, in 2004 and 2006, in Kigali Rwanda in 2008, in Accra Ghana in 2010, in Pretoria South Africa in 2012 and Nairobi Kenya in 2014. Dr. Trimble also served as founding director of the Howard University Project on Appropriate Technology, and Vice-chair of the Howard University Republic of South Africa Project. He served as a visiting Professor at the National University of Science and Technology in Bulawayo Zimbabwe from 2003-2004, 2013 and 2014. John served as the Dean of Information and Communication Technology for Umutara Polytechnic University in Rwanda from 2006-2008. 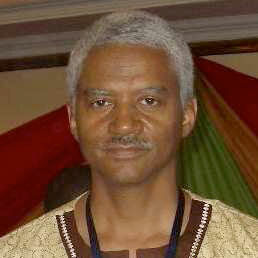 He has served as an Information technology consultant in Zimbabwe, Rwanda, South Africa, and Mauritius. He is currently conducting research on “postal service innovation to empower communities” for the Southern African Postal Operators Association. Stay Connected! Subscribe to the CWB Newsletter.